Chief of Hellenic Armed Forces, Admiral Evangelos Apostolakis, chats with representatives from Lockheed Martin Aeronautics at high-level policy luncheon co-hosted by AHI & Lexington Institute. WASHINGTON, DC — The American Hellenic Institute’s (AHI) policy objectives to advocate for NSA Souda Bay’s geostrategic importance to the national security interests of the United States were accomplished with the enactment of the National Defense Authorization Act of 2019 (NDAA). The Act authorizes $47.85 million in military construction funding for NSA Souda Bay, a further indication of increased defense cooperation between the United States and Greece. AHI has advocated for Greece’s strategic importance to the United States, and for a strengthening of U.S.-Greece defense cooperation, with high-profile events in Washington and Athens that featured high-ranking Greek and U.S. government officials. These events also have brought together Greece’s top military officials with key representatives of the defense sector. In addition, Greece’s importance to the United States’ security interests, and NSA Souda Bay’s critical role to project those interests, are presented annually to congressional appropriators in written testimony submitted by AHI. Specific to NSA Souda Bay, AHI and Lexington Institute co-hosted a presentation on Capitol Hill that announced the release of a white paper, “Souda Bay: NATO’s Military Gem in the Eastern Mediterranean” in 2016. 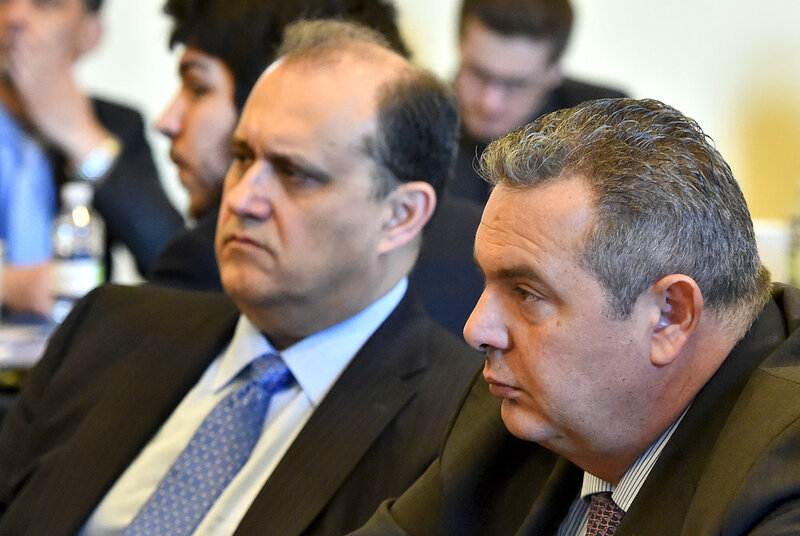 The rollout featured remarks by Greece’s Minister of Defense Panos Kammenos. Greece is a frontline state in the fight against terrorism. Despite its economic difficulties, Greece continues to be of vital importance for the projection of U.S. strategic interests by its geographic location and its strong, unwavering support for NATO. Greece is home to the most important naval presence in the Mediterranean Sea, Naval Support Activity (NSA) Souda Bay, Crete—a key military facility in the Eastern Mediterranean.